Wn01 Merville Batterie, K.V.U.Gr Riva-Bella, K.V.Gr Caen. 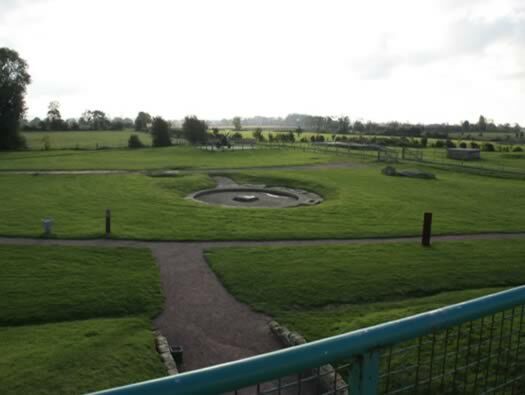 Wn01 Merville Batterie was sighted so its 10cm field guns could cover the mouth of the river Orne and the important canal to Caen where shipping could use the port facilities. A 1947 air photo of the canal and river. Map today of the canal and river. Situated to the south of the D514 and sign posted well. R611 casemate for a Field Gun. R502 twin group shelter with a periscope room. Air Photo Just Before D-day. Before the ground assault on the 6th June 1944, the RAF with 99 Lancaster's bombed the battery for ten minuets, previous to that the area had seen quite a lot of bombing which damage and killed several civilians. 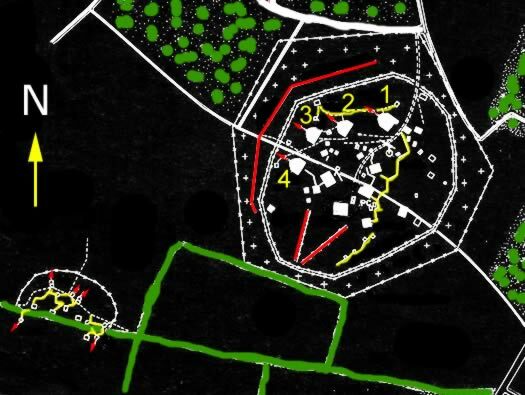 The yellow circle looks to be a small defence area just outside the battery probably to cover a blind spot in the defence. 10cm le.F.H. 14/19(t) horse drawn field howitzer. German horse artillery on the move. Casemate for a field gun with 60deg. Name --- No. & type---------------Map sheet G.S.G.S----Map.Ref. 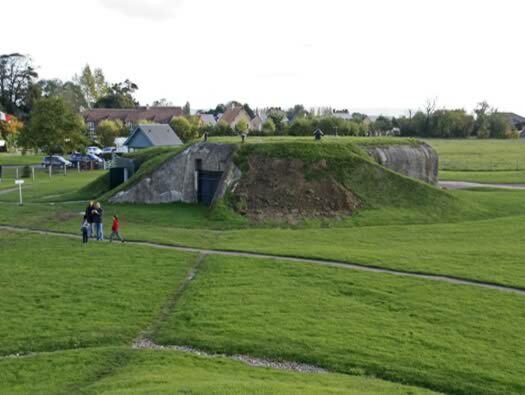 Merville --4 Medium (casemates) 4347/40/16NE ------155775 . 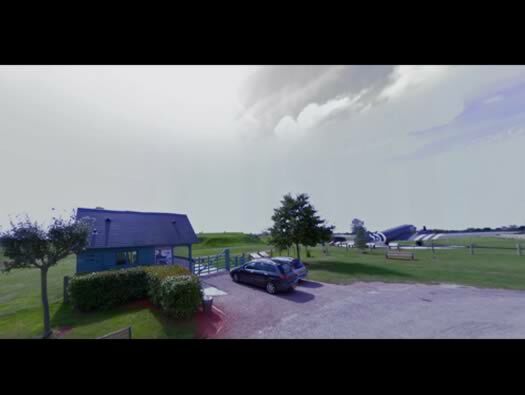 When you arrive there is a shop and a small entrance fee. An ex-9th Air force plane, was used in four major air landings in Europe and ended up in Sarajevo in 2007. The three main British planes used on D-day for airborne forces. 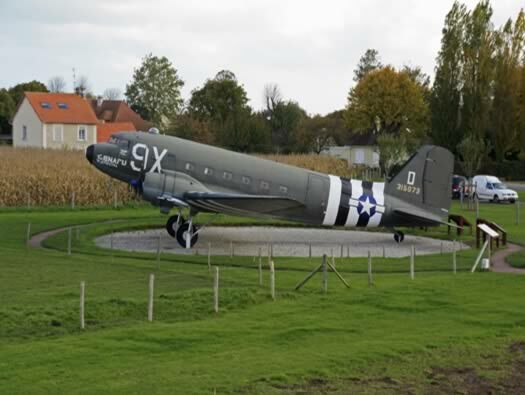 C47 Dakota an RAF Battle of Britain flight. RAF Sterling was the mainstay of parachute aircraft on D-day for the British and as a glider tug. RAF Armstrong Whitwoth Albemarle was used as a glider tug but was getting very out dated and worn by D-day. R611 Casemate for Field Gun. There were 58 R611's built in the AOK 7 area which covers lower Normandy and Brittany..
R611 view from the rear door to the embrasure. 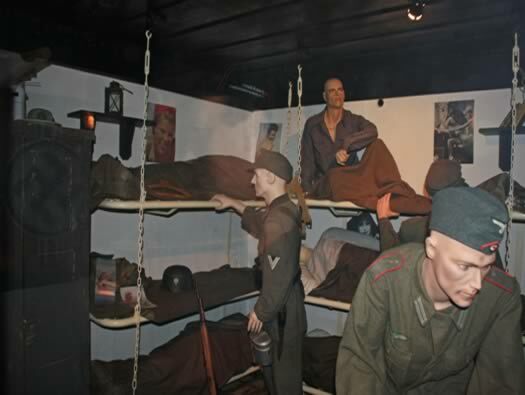 Inside this casemate some dioramas have been set up. Here in one of the ammunition spaces and showing how the crew would have lived in other bunkers around the site. 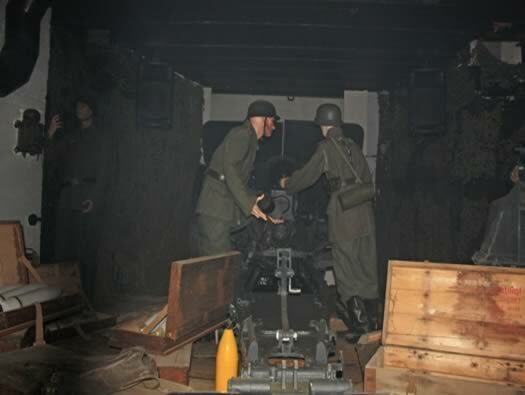 You enter door which is covered by a close combat defence embrasure, through a passage which also has a close combat defence embrasure, turn right then left into the crew room. R611 crew room with the second close combat defence embrasure in the wall covering the passage way..
close combat defence embrasure and looks like a 483p2 type. Gun room with another diorama of the guns crew and how they would have worked. Throughout the daytime a sound and light show tells the story of the battle for the battery. It was very good and gripping. The sound is so authentic to make you think they are firing the gun and also bombers going over and being attacked by paratroops. Plan of an R611 gun room. 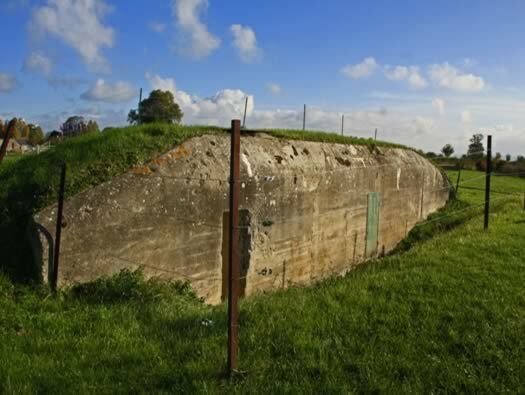 Wn01 Merville Batterie R611 Casemate. H611 showing the flanking walls and the grass covering. 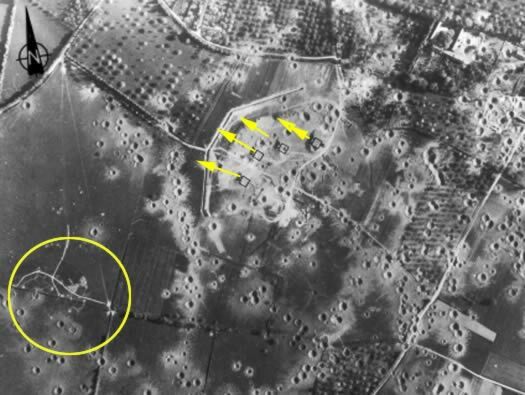 An air photo of this casemate, some very close bombing. 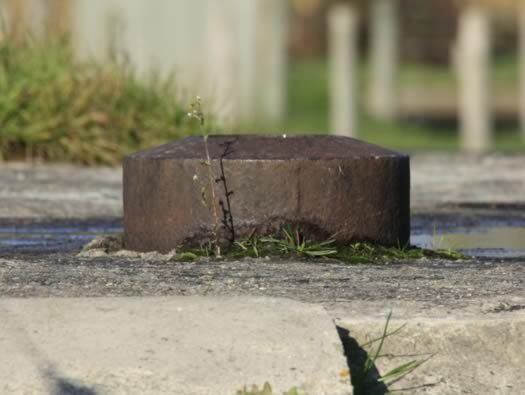 Interestingly the R611 was designed to have a steel plate that could close off the gun room from external firing. Here it looks as though the plate has not been fitted? The guns were 10cm le.F.H14/19(t) Skoda's from Czechoslovakia. They were also horse drawn artillery and the horses would have been kept on farms close by. Allied intelligent's at the time thought they were a 15cm battery and rated it as more dangerous than it actually was and that is why it was picked out for a paratroop attack in the early hours of D-day. 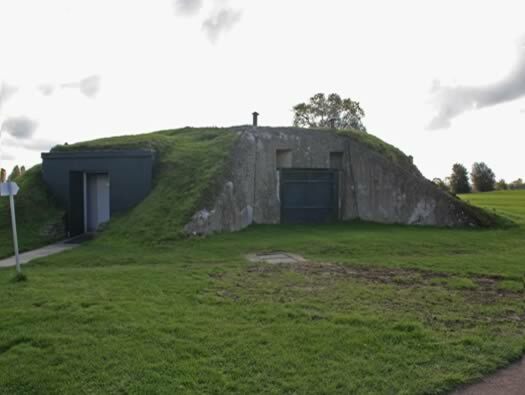 This is the R611 casemate with a small direct hit on the roof and another right on its left side..
Plan of an R612 casemate. 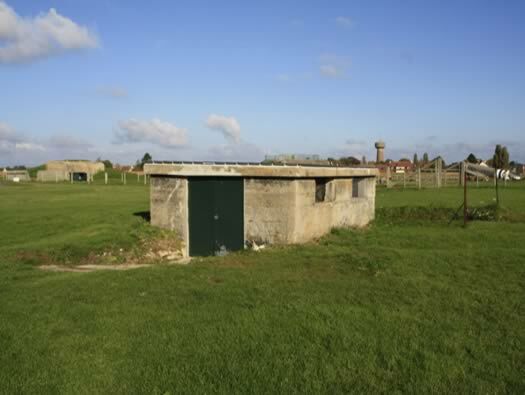 Wn01 Merville Batterie open Emplacement. 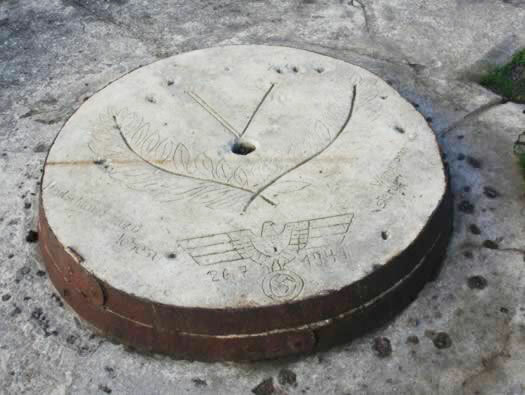 I believe the open emplacements were covered over in earth to hide them from the air as I cannot find them on the air pictures. 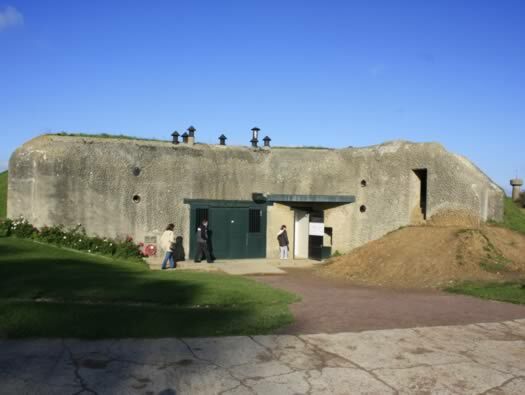 The open emplacements pre date the casemates. 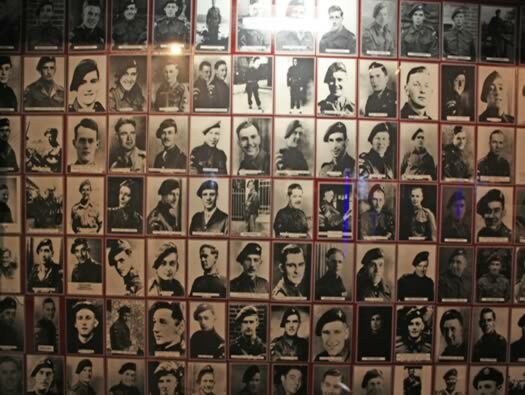 After heavy bombing an order came down from Hitler to place all artillery into casemates and this started in late 1943. An air photo as you see its hard to see the open emplacement. 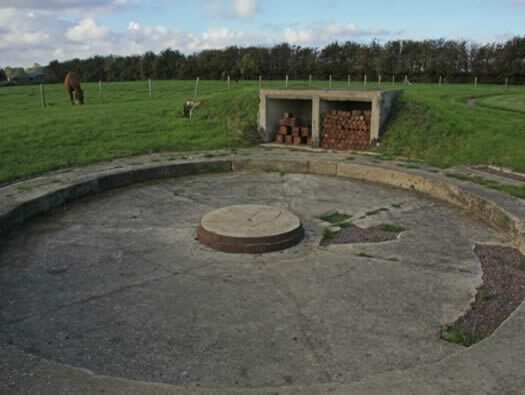 A picture of a field gun in an open emplacement. Laid out so a gun can sit on a hard concrete base with a centre that the gun can pivot around. Ready ammunition store cupboards around the outside. 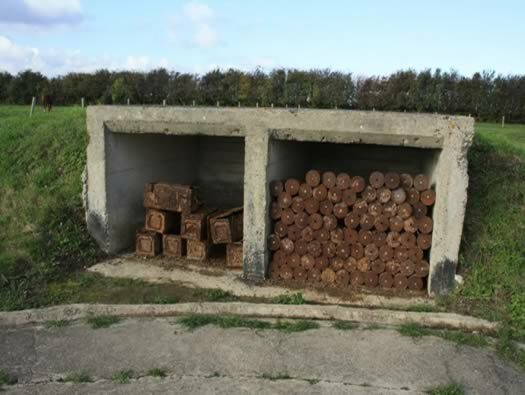 Original ammunition & boxes have been placed here to show how it would have looked. How it may have been laid out with probably two rooms, one for case and the other for shells, also a smaller one for fuze's. 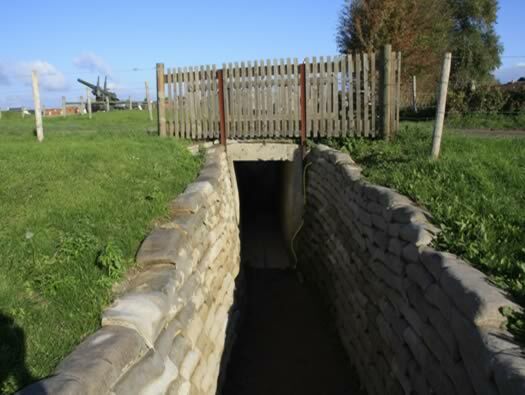 Wn01 Merville Batterie trench bridge. 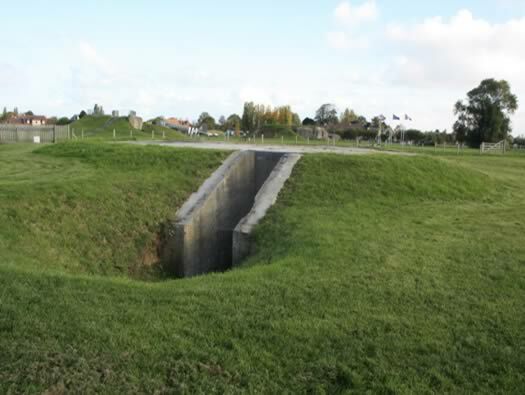 Trenches were dug around the battery and where they cut through the road, a bridge was put over the top. Wn01 Merville Batterie kitchen and Flak. A 2cm Flak was set up on the top of the kitchen. Underneath a kitchen on the top a 2cm Flak gun. The plan of an H501 group shelter with added Tobruk defence. A single room with a gas lock and entrance. Designed in 1939. A plan of an H502 the other crew shelter here. How it was fitted into the bunker and the telescopic aerial could be hired and lowered by a cranked handle. Lieutenant-Colonel Otway. The Lancaster's came in and bombed missing every bunker but killed a few cows. The parachute drop was all over the place and few Para's rendezvoused at the battery. They managed to take the battery with a bitter fight and then left the area. The Germans then came back and for several days continued to pound the beach. Why did the airborne leave so quickly? well at a predetermined time the large ships were to start bombarding the battery. 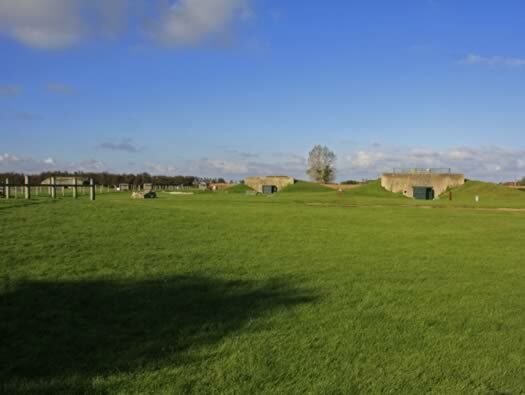 Wn01 Merville Batterie the British soldiers. Unfortunately we do not have the Germans. 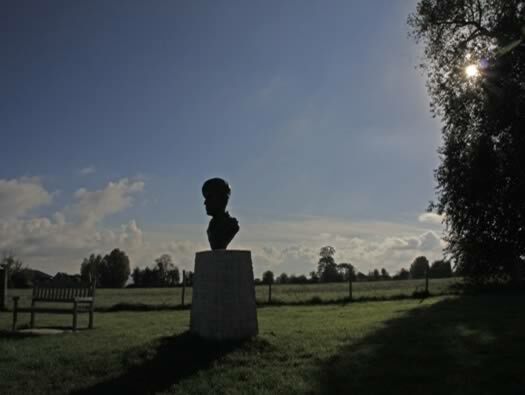 06:00, Otway gave the order to retire to the next part of his mission with a little less than a hundred men and a few German prisoners. Leutnant Steiner who was at Franceville comes strait back to the battery and found that the site is littered with corpses English and German. He only found 6 of his 130 able-bodied men. 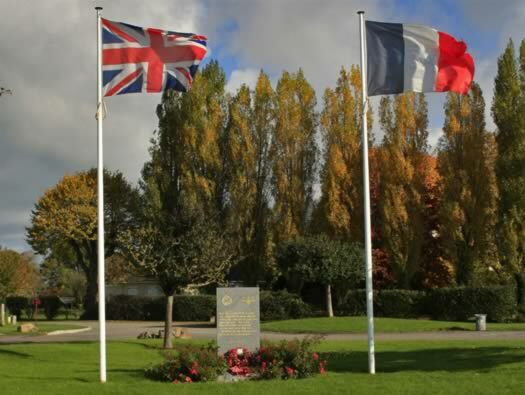 Merville Battery was not completely silenced by the Para's. 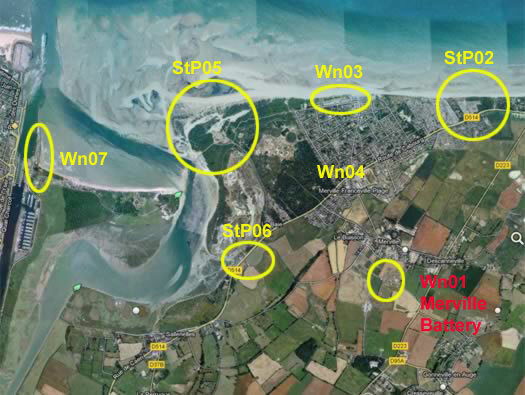 On the afternoon of 6 June No.1 and No.2 guns were able to fire on sword beach. 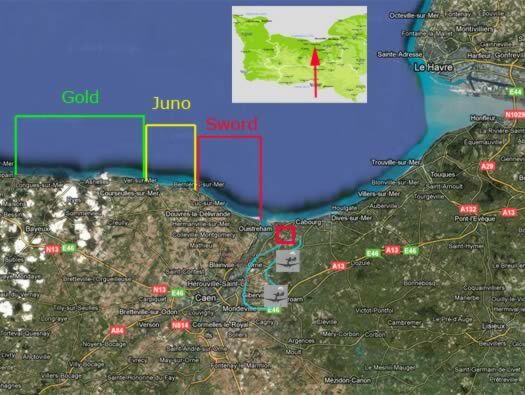 On the 7 June in the afternoon 3 Commando attack the battery and heavy fighting ensued.